The Max Delbrück Center is a member of the Helmholtz Association. It combines modern basic biomedical research with latest methods of molecular and cell biology as well as gene technology. A special interest in its research is the better molecular and genetic understanding of diseases, to develop treatments and preventive strategies. Prof. Izsvak has extensive experience in molecular biology. She developed the hyperactive Sleeping Beauty (SB100X) transposon system, respectively, and boosts clinical gene therapeutic approaches. The SB100X was awarded Molecule of the Year in 2009. Prof. Izsvak represents project partner MDC with her Group Leader position. MDC evaluated and introduced additional safety features into the transposon vector system, to increase transfection efficiencies and persistence of gene expression (WP2). Additionally, MDC is approving the integration profile of the recombinant PEDF after re-implantation in in vivo studies (WP6). Furthermore, MDC supported the process in document editing requested by the regulatory authorities (WP8). Concerning the expertise of MDC in gene therapy the project progress will be disseminated by Prof. Izsvak being an invited speaker at international meetings, e. g. FASEB and International Society of Gene Therapy (WP10). 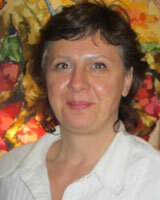 Prof. Zsuzsanna Izsvak, PhD, is an international expert on transposon technology. Following her Ph.D. from the Hungarian Academy of Sciences she was postdoctoral fellow at the University of Minnesota and at the Netherlands Cancer Institute. From 1999 to present Prof. Izsvak has been a faculty member at the MDC. She is advisor of the Danish council for strategic research. Prof. Izsvak has coordinated an FP6 project (INTHER) to establish transposons as non-viral vectors for gene therapy. In addition, she has a long track record of partnerships and has been the principal investigator in European research projects, such as the FP7 project EURATRANS, CLINIGENE (PI), IKUT and TAMOP (PI), E-rare von Willebrand disease (PI), and recently has been awarded an ERC Advanced grant “TransposoSTRESS” (PI).